Peru has the fastest growing economy in South America, averaging 6.4% GDP growth over the last ten years. However, growth has slowed in the last year due to a reduction in metal prices, the decrease in value of the Nuevo sol and the recovery of the US economy. Historical high growth has attracted large amounts of foreign direct investment in the country, totalling $22.6bn in 2013. This has been led by Spanish investment, totalling $4.5bn, followed by British ($4.3bn) and American ($3.9bn). The extractive industries account for 12% of the country’s GDP and are the principle beneficiary of foreign investment; receiving $5.4bn in 2013. Unsurprisingly China leads the foreign investment in this industry; Chinese interests own 33% of the copper industry in Peru. Chinese impact on this sector is illustrated by the acquisition of Las Bambas copper mine in the Apurímac region by a Chinese consortium led by MMG Limited, partially backed by Beijing, for $5.85bn. Sceptics are worried that Peru’s reliance on copper makes the country’s rapid growth unsustainable; reductions in metal prices may give credence to these views. In 2000 the extractive industries accounted for 5.5% of national GDP, this figure more than doubled to 12% in 2011. Conversely the tertiary sector´s share of GDP dropped from 62% to 57% in the same period, breaking from the usual developmental model in which reliance on the primary sector decreases and the tertiary sector grows. 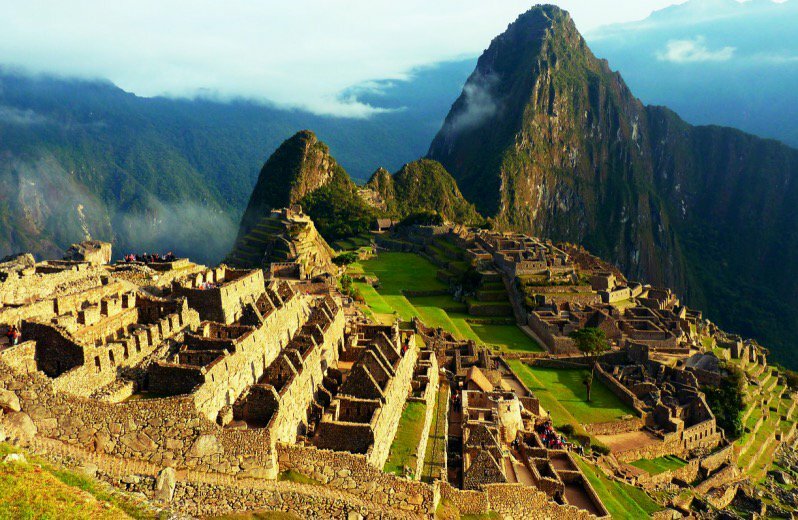 Peru is the world´s third largest producer in copper and silver, sixth in the world for gold. If Peru´s mining bubble was to burst, the economic growth of the country would be severely impacted. It is hoped that the government would use the $9bn worth of sovereign wealth in the Fiscal Stabilisation Fund to prop up the Peruvian economy should this happen. Growth in foreign investment is partially responsible for the 50% growth in the Peruvian middle class over the last ten years. According to the World Bank; the middle class now accounts for 30% of the population (income $10-50 per capita per day). In 2013 direct foreign investment in finance ($4.2bn) and communications ($3.9bn) trailed behind the mining sector but had a larger impact on the quality of life of the middle classes. Foreign investment in finance is extending credit to the middle classes, that this service had not been offered previously is surprising but gives insight into why 60% of the population build their own homes but only 6% are granted a mortgage. Improvements in the quality of life are a key reason why an estimated 80,000 Peruvian migrants have returned to the country since the recession. Peru recently joined the Development Centre of the OECD, a possible precursor to OECD membership. The Humala administration aims to join Mexico and Chile in the OECD by 2020. This marks a new stage in Peru´s relationship with the outside world and will possibly raise issues with the Andean Community of Nations (Peru, Ecuador, Bolivia and Colombia). Of the four permanent members; Peru and Colombia favour more liberal economic policies, offering a friendlier climate to international investors. It is unclear what effect the decreased GDP growth rate will have on foreign investment on Peru; likewise the elections in April next year will have an impact on investors´ perceptions of the country. Also published on The Market Mogul. This entry was posted in peru and tagged economics, peru. Bookmark the permalink.